Ministry and sacrifice 2 Corinthians 4 Afternoon Bible Study: Paul and the Future is a Dominic Smart talk recorded at Keswick Convention - 2012 on 2 Corinthians available as CD format. 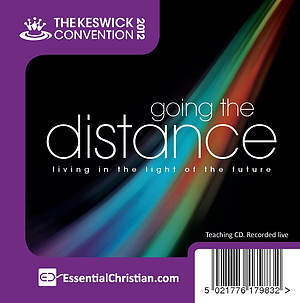 The overall theme for the Convention is Going the Distance. In this afternoon series we look at some of the important Pauline passages on the future. Be the first to review Ministry and sacrifice 2 Corinthians 4 a talk by Dominic Smart! Got a question? No problem! Just click here to ask us about Ministry and sacrifice 2 Corinthians 4 a talk by Dominic Smart.